The last day in April we celebrate Valborg. We gather in our community, sing and light a fire. Welcome spring. The 1st of May has always been a special day. When I was young we made Mayday baskets and left them at the door of our neighbor. The goal was to knock on the door, leave the basket and run home as fast as you could. If you got caught, you might get a kiss. The idea of leaving a little gift and sneaking away has stayed with me in adulthood and in Sweden. 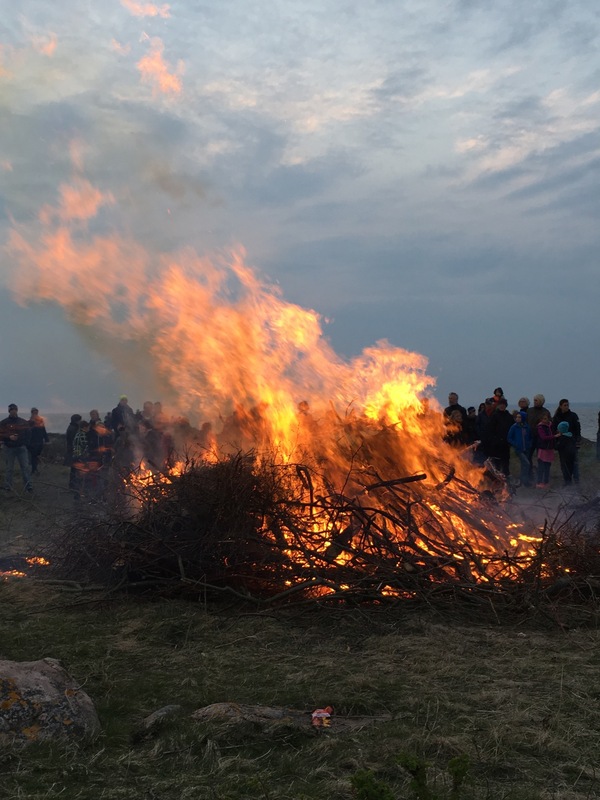 In Sweden, the 30th of April is called Valborg. Townspeople gather around a fire, sing songs and say farewell to the cold. Beautiful tradition. Beautiful evening. This morning, 1st of May, I woke up and continued a childhood tradition. I packed a Mayday basket – 5 hours cleaning service – and left it at the door of my neighbor. I did not get-a-way. I got a kiss (an emoji). Thank you to those that support and encourage StayCay. StayCay Service is available to help make your staycation in Bjäre Sweden a great vacation! Take care of yourself and those that support you.